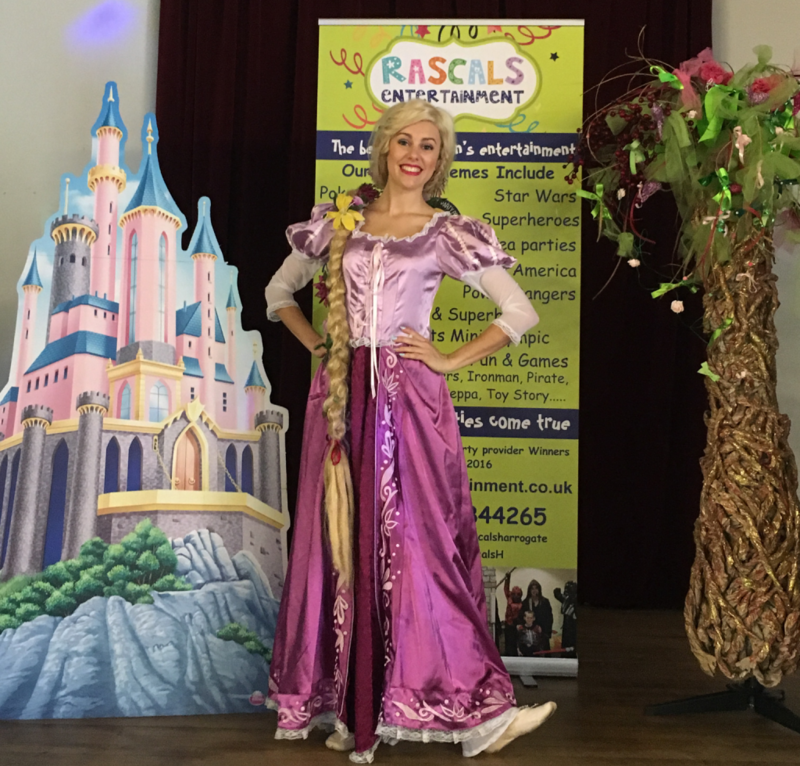 If your child loves all things fairy tale and singing, then why not throw a party with her very own singing princess making an appearance. Every little girl’s dream is to have a princess at her party, my aim is to make sure your little girl’s birthday is one she will never forget. I aim to captivate and mesmerise your children, making dreams come true. 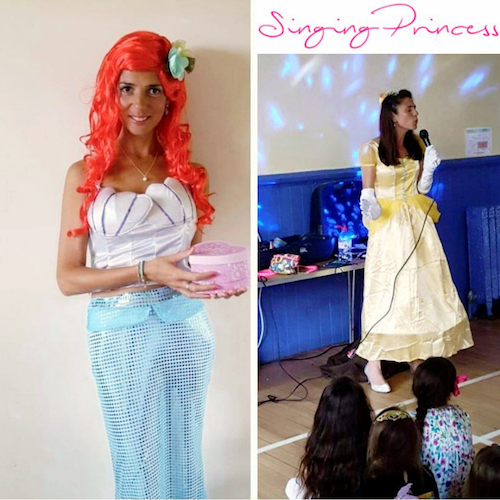 I am a professionally trained performer as well as a teaching assistant in nursery and reception, so I love all things children, parties, singing and princess. · 1 hour appearance as your favourite princess such as Ariel or Belle. Visit Facebook Page for more details and photos. A great idea for a fun birthday party!……because kids just want to have FUN!!! 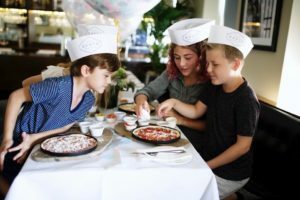 Looking for a birthday party that will be remembered for years to come? LittleLions rugby offers fun birthday parties for girls and boys between the ages of 2.5-7 years old. 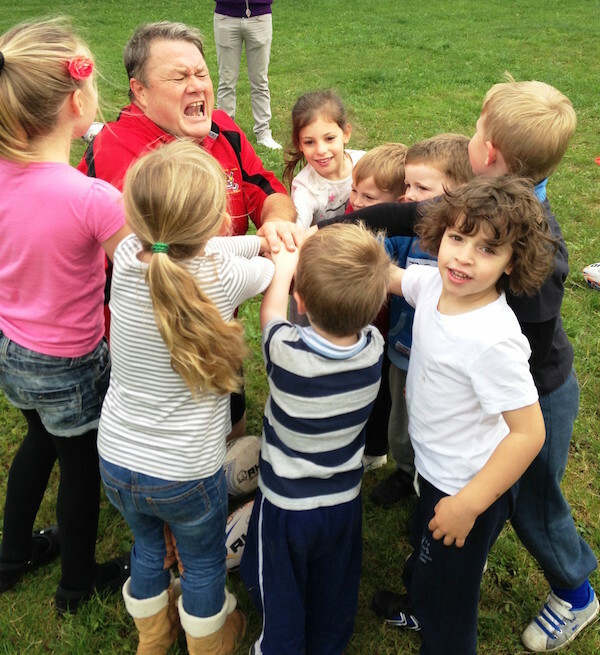 LittleLions-Rugby birthday parties are an ideal activity for children who love to burn off energy, running around with their friends having fun. The birthday party format is ideal for girls and boys who enjoy playing games and having FUN. We tend to play outside in all weathers in local parks chosen by you. Most parks are free of charge, but it is up to the parents of the birthday child to check this out, and where necessary arrange any permit needed. Or we can run a party indoors, if the space allows. We are happy to help with ideas for where to hold the party, with several locations already geared up for such an event. Sleepteepeetight is a family run business. 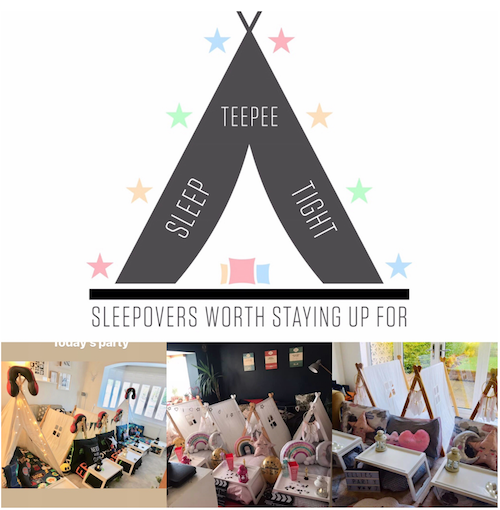 We offer luxury themed sleepovers with our Teepees creating a unique focal point. We have plenty of themes for girls and boys aged 6+. These include unicorns, Tropicana, football, superheroes and movie night. We have many added extras to enhance the party including spa trolleys, balloons and doughnut walls. 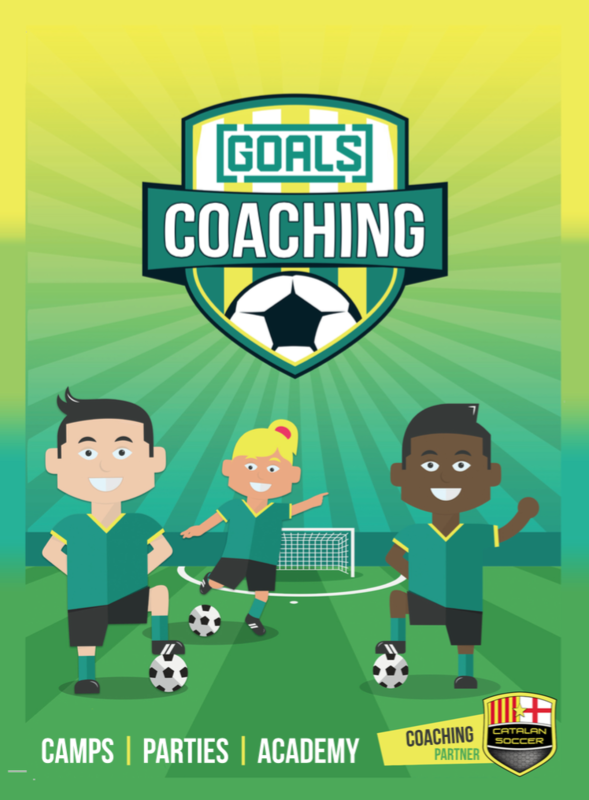 Contact us and gain major parent points!!! @Sleepteepeetight can be found on Instagram and Facebook. Anything Could Happen are a comedy group that bring children’s stories to life. In their hour long show the ACH team play storytelling games making their show entirely from the creativity of their young audience. Party packages can also be extended to include a workshop element with kid friendly improv games. Recommended for ages 7+. Contact Carla 0788 764 8734 for more info. Looking for a fun, unique and stress free party for your baby, toddler or child? Why not book an art party with ARTventurers! At award winning ARTventurers we run colourful, creative (often messy!) art, craft and creative birthday parties and other events for children of all ages. Bring a cake and hold your birthday tea, party games, or your celebration supper in the party room. This Green Moon is at the heart of an ancient woodland located at Swillington Organic Farm. Children’s Birthday Parties are available from ages 4-11 giving the chance to run wild, take part in new adventures and experience the beauty of nature all year round. The bus has been specially converted into a self-contained children’s party and soft play area . The Crazy Fun Bus also has a separate dining area suitable for up to 16 children. Mobile Disco and DJ parties. 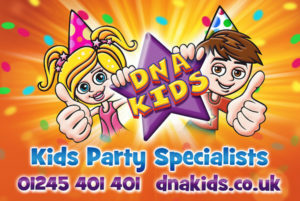 DNA Kids, the multi-award winning children’s party specialists! We offer 14 exciting parties that are perfect for 4 – 14-year-olds, including disco & games, themed, magic, wacky science, sports and teenage parties… phew! 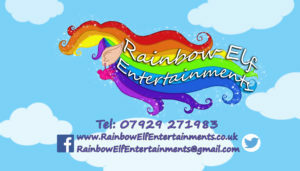 Public liability insured, entertainers are DBS checked, written confirmation of booking. Ever After Entertainment provides a variety of Princesses, packages and entertainment to make your event that extra bit more magical. It is our aim to ensure every little prince and princess receives royal treatment on that special day and to create magical memories that will last a lifetime. Each party includes private use of the woodland room, party invitations, materials and processing, fantastic Firefly staff throughout, cordial and a birthday plate. Bring your own cake to serve or have cut and wrapped don’t miss out on blowing out candles under the twinkling tree lights! There are two different price options available. Froggle Parties is the number one children’s entertainer company in the UK, offering a huge variety of children’s party entertainment packages for all ages. We all want the best start in life for our children, Fun & Phonics aim to do just with the main emphasis on learning through play. Your child will become more confident, and school ready right before your very eyes. A fantastic pre-school program introducing letters and phonic sounds through play; Fun Games, Song, Crafts & Multi Sensory Activities. Jackrabbits birthday parties are famously popular. Your guests paint wonderful pieces of pottery, and we also create a personalised plate to remember the day! Bring your own food to our dedicated party area, and our dedicated staff will make sure you all have a fantastic time! Also have a dedicated party area, available for parties of 8 to 16 children. Archery practice, an archery tournament, fun games and a certificate for all. A 2 hour Junior Kitchen Children’s Party includes pizza making, cake decorating, drinks and jelly. This experience offers children the opportunity to explore a real fire engine! They can sit inside, honk the horn, and even spray some water. Everyone gets a free Wonka bar with a golden ticket when they leave, including a Longs Blackbelt School Balloon. Professional children’s entertainer Magic Tom performs funny magic show and brilliant party packages to suit all occasions. A Mr Dan party includes a range of activities such as Mr Dan’s silly circus tricks, many games tailored to the age group of the children, a disco with lots of disco dancing, plate spinning, limbo and some balloon modelling prizes. Puppets, magic, music, games, face painting and more! Let Music Bugs entertain the children in your own home or in a hired venue and we’ll keep them occupied with singing, dancing, puppets, pom poms, bubbles, parachutes and party games. If it’s a party with a difference you want, it’s here. Noah’s Ark will bring a selection of exotic animals to your venue be it a birthday party, a school visit, nursery visit, family day, cubs, brownies, rainbows. Oreo and Friends is the animal encounters company with a difference, they can bring a menagerie of exotic animals straight to your door. Our animals will be happy to interact, entertain and educate people of all ages, and give you an experience you’ll never forget. Please note that children’s party encounters are only suitable for a maximum of 18 children, over 5 years old. Back Lane offers Pony Party packages which include up to 10 horses, food, qualified instructors and specialised game equipment. At a Pop Goes The Story party children can enjoy an interactive storytelling session where children see books come to life. They will explore a book through sensory activities, messy play, puppets, singing and dancing. Parties are suitable from 9 months – 5 years. 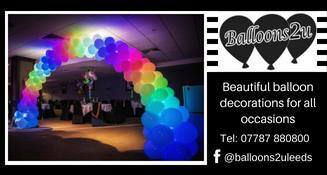 Great for birthdays, christenings and any other celebration. Prime Parties & Mascots specialise in making your next party a more memorable occasion , mascots provided: Optimus Prime, Iron Man, Iron Man War Machine, Spiderman, Batman and Robin, Ninja Turtles, Olaf, Minions, Kung Fu Panda, Spongebob, Mickey Mouse, Minnie Mouse, Noddy, Giant Rabbit. 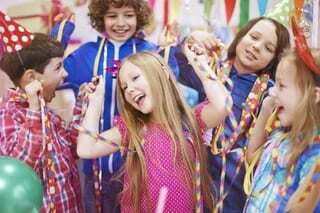 When you book a Rhythm Time party, you’ll be assured of 40 minutes of joy, laughter and dancing to your little one’s favourite class songs and activities. Even Rat-a-tat, our listening bunny, will come and join the fun! A Rugbytots Party is a fantastically fun-filled way to celebrate your child’s birthday. Our animal encounter parties are perfect for animal mad individuals of all ages, giving them the chance to get up close with an amazing array of exotic creatures for a fun-filled party, guaranteed to make any special day an unforgetable experience! Offer sewing parties for children age 8 – 16 to get creative, have loads of fun and take home a gorgeous hand made gift! Various activities and learning aids are incorporated in our 2 rooms including bubble tube, fibre optics, low level soft play, black white and red area, uv lighting and specially selected educational resources to name a few. Shirley’s amazing Magic Paintpot Show is suitable for children from 3yrs and includes Magic to suit the age group, Audience Participation, Mylo the Magical Puppet Dog and lots of fun with balloons and story characters. We understand that with the increasing demands on parents,time is at an essence. 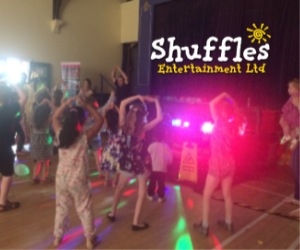 Therefore Stagecoach Parties provide a way to remove the stress from what should be a day of celebration for everyone and allow you to sit back, relax and let us do all the work! Whether they want to be fairies, pirates or detectives, there is a Stagecoach Party for everyone! Craft and storytelling adventures for 3-7 year olds. Parties can be delivered to any venue so whether it’s at your home, hall or in a field, we are happy to accommodate. Your wish is my command and with over 40 themes ready to go and a flexible bespoke structure every family can have the party that’s unique and perfect for them. Susie is a great entertainer she brings favourite films and stories to life and is a great singer! For ages 10 upwards: Eye Dissection: With the help of an expert, you will be led through the dissection of an eye to understand how the images we see are formed. Children love to laugh along at Cosmo and his comedy magic, hilarious routines and colourful balloon animals. Adventures and discovery in the heart of an ancient woodland, bringing shining eyes to all the family. Children’s parties, Forest Schools and special events. Toddler Sense can help you arrange a super special party for toddlers aged13 months to 4 years. Bouncy castles, ball pits, tents, tunnels, soft play to climb, ride-on’s for everyone – all these and more are included. This is followed by themed activities to make your party a WOW occasion with the finest quality equipment to create a sensory extravaganza. The Activity Centre in West Leeds has a wide range of adventurous activities, perfect for children’s parties and even adult’s events.